A conflict over Starbucks shift supervisors sharing tips with baristas is back in federal court, after a ruling by New York's highest court on Monday clarified the state law's take on tips. Under New York's state wage laws, "shift supervisors" at Starbucks are entitled to a share of the overall tips, because they perform many of the same customer-service tasks as the dedicated baristas, reports Thomson Reuters. The case now heads back to the 2nd U.S. Circuit Court of Appeals, where the fate of the tip-sharing in service-based businesses is yet undecided. This is not the first time that a federal court has been asked to determine whether Starbucks shift supervisors can share in baristas' tips. The 1st U.S. Circuit Court of Appeals held in November that tip-sharing with shift supervisors violated Massachusetts' Tips Act. The question in the current federal case is slightly different, as the 2nd Circuit will decide whether tip-sharing is illegal under New York's analogous wage laws on tips. To be sure about their decision, judges on the 2nd Circuit asked New York's highest court to determine whether Starbucks shift supervisors were eligible to receive tips under state law. 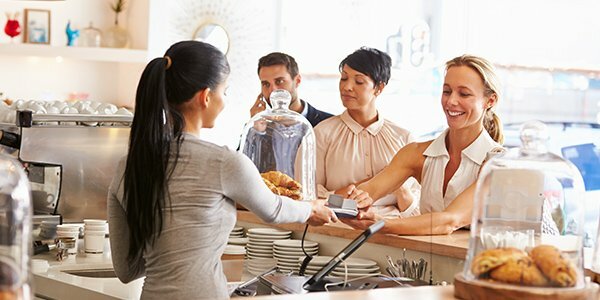 The state law in question provides that "employer[s]" and those who are their agents or officers cannot accept or share tips. New York's High Court -- called the Court of Appeals -- answered that this law does not consider Starbucks shift supervisors as "agents" of their employer, because they are hourly workers whose primary function is "to serve customers," similar to baristas. That means they are allowed to share tips with baristas. This answer to the federal court's certified question is not an automatic win for Starbucks in federal court, but it does leave settled that New York state law is on their side. If the 2nd Circuit eventually sides with Starbucks and declares that tip sharing for shift supervisors is legal, there will be a conflict between the 1st and 2nd Circuits on the tip-sharing policy, and no nationally binding precedent. New York Starbucks and other service-based businesses will have to wait for the 2nd Circuit's final ruling to see how tip-sharing with shift supervisors comports with federal law.